It was great to hear from Francisco & Sam with Sawyer & Co + Harmon's Barton's again the other day - they wanted to hire me to take marketing images to showcase their fall line. As I was about to head out the door for the shoot, I couldn't find my wallet. I left, praying that I wouldn't get pulled over. I should have known the klutziness would continue on for me. I ended up driving to and walking around the wrong building (I had the wrong address). So when I plugged in the new address they texted to me, Siri did the awesome job of taking me on a five minute drive around the block right back to where I started - the right place was only across the street! 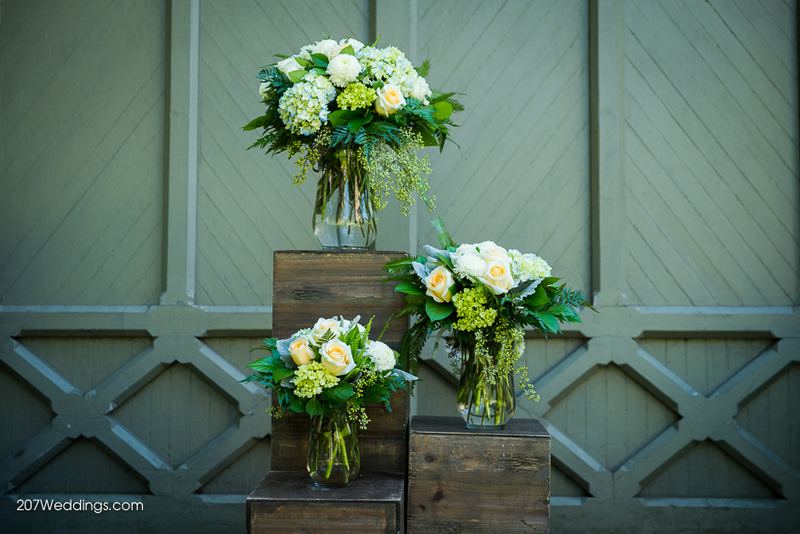 It's just a good thing none of that carried over for the shoot - aren't these arrangements gorgeous, or what?! All designed by Francisco, of course! After the shoot was over, I was driving Sam, the AWESOME GM for Sawyer & Co + Harmon's Barton's back to the store and the klutz vibe picked right back up. As I was about to turn onto Congress, I freaked out at the speed of the traffic coming, threw my car into reverse to avoid being hit, and then I heard that undeniable, universal BANG-CRRUNCH sound. My heart dropped to my gut. I had backed right into a big pickup who was (apparently) behind me. Then my heart sank further - OMG. No wallet!! I ran out to check and make sure everyone was ok - thank the Lord!! Yep, everyone is perfectly fine. Then the trucks....NOT A SCRATCH. Thank the Lord again!! I may have been party to a miracle as there was zero damage, and the guy just shrugged it off and went his way within minutes. I was dumbfounded. Sam was so great to console me and my ridiculous and embarrassing "adrenaline tears." Come to think of it, I felt the exact same way and cried the exact same way when I shot my first gun...but that's a story for another time. Bottom line, everyone and thing made it out unscathed, and I got some killer images for Sam & the gang! I hope you enjoy them, along with the story of my misadventure Portland, Maine! If you'd like to see the full gallery, click here. If you or someone you know is getting married and needs a photographer or videographer, get in touch: 207-808-2151 or weddings@207weddings.com. I'd love to speak with you about your super special day!